Ten gallons of regular unleaded, a quart of 10W-30 and ... authentic Mexican food? Yep, if you happen to be at the Shell station at Rts. 1 and 175 in Jessup. The R&R Taqueria serves up the kinds of street food tacos you used to have to go to California or Texas (or Mexico) to sample. Pictured are the tacos de carnitas, made with slow-cooked pork shoulder, fresh onions, cilantro and red sauce, all nestled in warm corn tortillas. 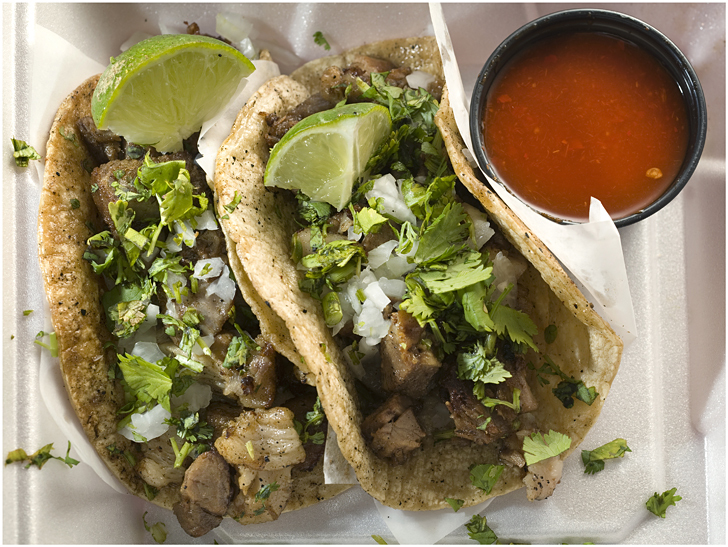 The carnitas are one of several flavors to choose from, each priced at $2.00.